Oatmeal is another vegan staple, and not just for breakfast. If you think that oatmeal is just limited to porridge, you’re in for a pleasant surprise. There are a million different ways to prepare oatmeal and I’m sure you’ll love every single one of them. But what really makes oatmeal remarkable? It’s 100% whole grain, gluten-free, and high in fiber and antioxidants. Here’s a savory and filling way to prepare oats without the hassle. Who says oatmeal has to be sweet? 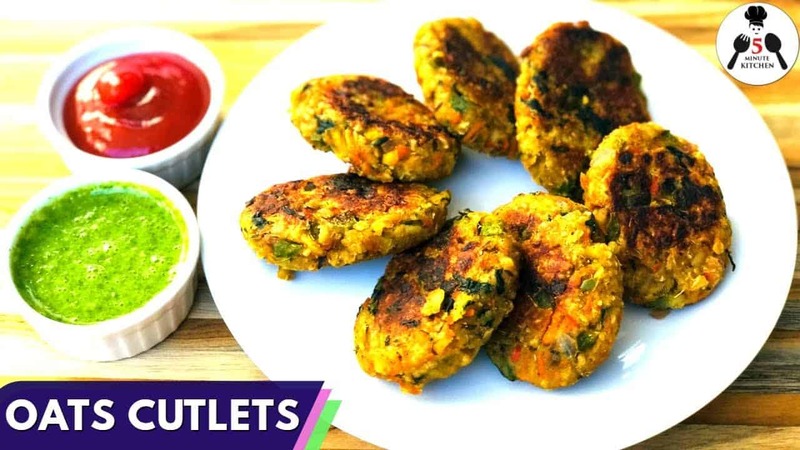 These spicy oatmeal cutlets are the perfect main dish for lunch or dinner. Healthy oats are combined with the freshness of choice vegetables and fragrant spices. You can eat them on their own or serve with a salad on the side. Recreate this quick and easy oatmeal recipe here. Add this five-minute recipe to your dinner rotation of quick, healthy, and easy meals. Mix oats with water and soak. Heat pan with olive oil and Sauté Cumin and Fennel Seeds, Split Chickpeas, Split Black Gram, Grated Onion, Green Chili, Ginger, Capsicums, Carrot and Cauliflower. Add Salt, Garam Masala, Amchur Powder and Spinach. Stir fry until well done. Prepare dough. Mix vegetables, soaked oats and gram flour. Heat pan with olive oil and Shallow fry the cutlets. Flip and brush oil until well done. Enjoy! Looking for more of these vegan recipes? Scroll through these popular round-ups and Ii’m sure you’ll find something interesting! Can you include the quantities for the recipe please ? A recipe without measurements is a shopping list. Hi! I really enjoyed your rice-paper bacon recipe... it's an instant favorite for my family! 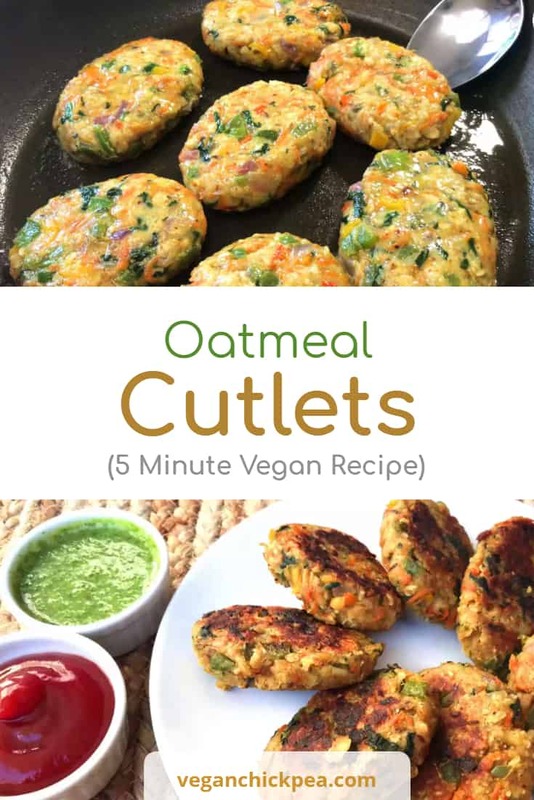 Would you be willing to share the amounts of the ingredients for these oatmeal cutlets? They look delicious. :-) Thanks again!